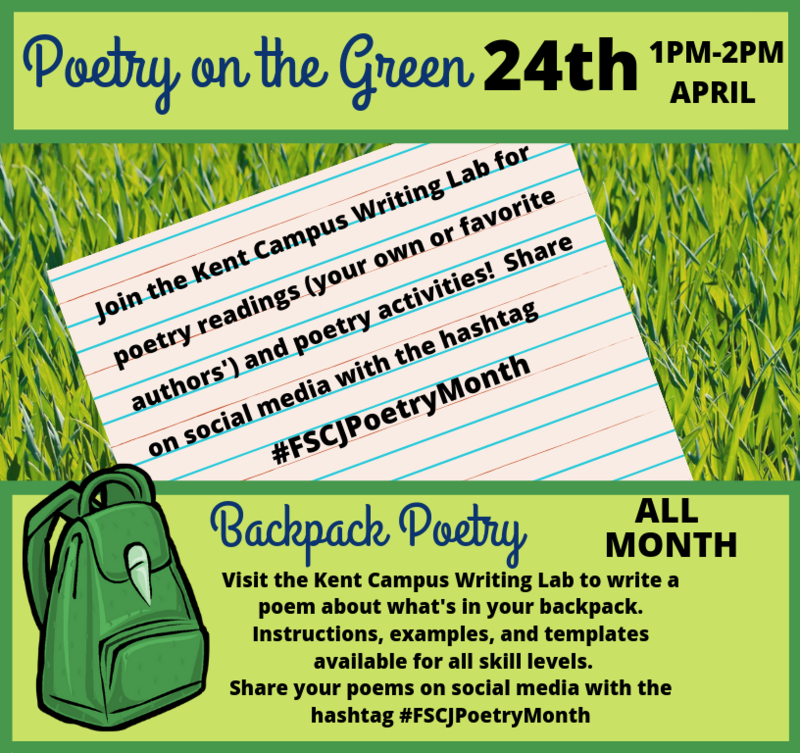 Join the Kent Campus Writing Lab on the green in the Kent courtyard to read your own poetry or that of your favorite author and to participate in a collaborative poetry activity. This activity will take place at FSCJ's Kent Campus, 3939 Roosevelt Blvd. Jacksonville, Florida 32205.